The same way we clean carpets and hardwood floor, is the same care and pride we take in every piece of furniture, upholstery or drapers we clean. We make sure every item is treated with our Eco-friendly products to flush out the dirt to make sure your furniture and upholstery looks new again. There have been so many times where we show up to a customers home to do carpet cleaning, and offer a free demonstration of what professional upholstery cleaning could do for them and they are astounded. When we are able to make a 5 year old sofa look brand new, you are always going to amaze your clients. Nobody wears the same clothes everyday without cleaning them...at least eventually, but that's exactly what happens to furniture and draperies. Give one of our upholstery cleaners a call today and if you want, we will give you a free demonstration with your carpet cleaning appointment. See how our furniture cleaning can bring back your "dingy" old looking upholstery. Some cleaning companies stick to only sofa or couch cleaning, but not us. If it's dirty, we know we can clean it. We offer a wide variety of upholstery and furniture cleanings from: mattress cleanings, sofa/couch cleanings, draperies and blind cleanings and so much more. Find out what makes us stand apart from our competition by contacting our upholstery cleaners today at: (215) 470-5499. The couch is one of the high traffic furniture items in homes. It's where the movies, the sports games, and where a lot of the out of the kitchen eating happens. So it's no surprise that sometimes they get dirty, or have stains. Our trained staff of furniture cleaners can handle all types of furniture fabrics to ensure safe cleaning of your furniture. Call us now for your free quote! Most people thin after reading this, "I should probably clean my mattress more often. From the snacks during movie time, the dogs and the kids...but I don't have the time." Don't worry, that is where Spots & Dots comes in. We offer amazing deals on mattress cleanings that are almost too hard to turn down. 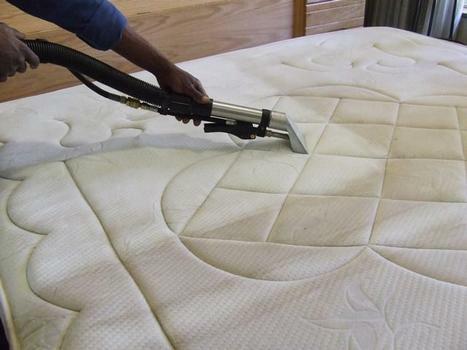 Give our mattress cleaning department a call today for your free quote.